The following is a list of frequently asked questions and answers about moving to Canada from the U.S., either temporarily or permanently. If you have a question that is not on this page, please send your question to USA@canadavisa.com — we will take the time to answer the question before adding it to the list below. Well, yes and no. American citizens do not require a visa to visit Canada for personal or business reasons. As a visitor, unless otherwise indicated by a Canadian immigration officer at a Canadian Port of Entry, you may remain in Canada for up to six months. However, to gain entry the immigration officer must be satisfied that you are a bona fide visitor, which means that you intend to leave Canada at the end of your visit. As a visitor you may not centralize your mode of living in Canada, and as a general rule you may not work in Canada without first securing a work permit. You may study in Canada without a study permit only if the course of study is six months or less in duration. There are many ways to immigrate to Canada or to reside in Canada temporarily. Every year, thousands of U.S. citizens and residents move to Canada as workers, students, or permanent residents. Permanent resident status allows an individual to live in, work in and enjoy Canada on a permanent basis, with no time limitation to the status and no restriction on movement within the labour market. Broadly speaking, there are three categories of immigration programs that lead to permanent residence: economic programs (for skilled workers and business persons), family reunification programs (for spouses, common-law partners, parents, grandparents and dependent children of Canadian citizens and permanent residents), and refugee/humanitarian programs. U.S. citizens are unlikely to be successful through the latter category (see question 19). To learn more about your Canadian immigration options through the economic programs, fill out a free assessment form. For individuals who have a close family member who is a citizen or permanent resident of Canada, as well as individuals who have a Canadian spouse or common-law partner, please complete this free Family Class assessment form to learn more about your options. Many U.S. citizens and residents choose to come to Canada on a temporary basis, and many go on to pursue permanent residence. U.S.-based workers enjoy certain benefits due to the close trade relationship between the U.S. and Canada (see question 10), while students may pursue further education in Canada — quality institutions and cheaper tuition costs are just two of the incentives. In addition, U.S. citizens can come to visit Canada, typically being granted the right to travel around the country for up to six months per entry. In general, U.S. citizens moving to Canada may bring accompanying family members. However, the specifics depend on the status you may be seeking in Canada. It is best to review which type of entry to Canada you wish to undertake, then look into the options for bringing family members. U.S. citizens should carry proof of citizenship such as a passport, birth certificate, a certificate of citizenship or naturalization, or a Certificate of Indian Status along with photo identification. U.S. permanent residents (i.e. Green Card holders) should ensure they carry proof of status, such as their U.S. Permanent Resident Card (Green Card). Whether you're entering by air, land or water, it is recommended that you carry a valid passport for all travel abroad, including visits to Canada from the U.S. A passport may be required by your airline or alternative transportation authority, as it is the only universally-accepted identification document. Citizens of the U.S. who are members of the NEXUS program may present their membership card to the CBSA as proof of identification and as a document that denotes citizenship, when arriving by air, land, or marine modes. Permanent residents of the U.S. who are members of the NEXUS or FAST programs must travel with a passport and proof of permanent residence, and may be asked to present these documents to the officer upon arrival at the border. In general, Canada Border Services Agency (CBSA) officers at a Canadian Port of Entry issue entry stamps valid for a period of up to six months from the date of entry for visitors. This period may be extended from within Canada. Many U.S. citizens and residents may not be aware that a prior offence, even one as seemingly minor as a driving violation, may render a person inadmissible to Canada. If you are in any doubt, you will need to know what steps to take before and during your Canadian immigration or temporary resident visa application process in order to be permitted to enter Canada. Some examples of convictions that could make you inadmissible to Canada include: DUI, DWAI, theft, petty theft/larceny, assault, drunk & disorderly conduct, obstruction of justice, and possession of marijuana, cocaine or other controlled substances/drugs. This list is by no means exhaustive. 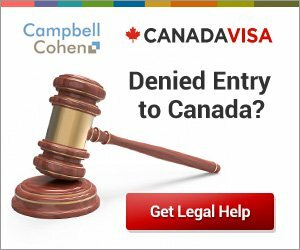 If you have been found to be criminally inadmissible to Canada, or think you may be inadmissible, it is important to know that you still have options. Contact a legal advisor to learn more about your options. The less common of these is medical inadmissibility that results from being assessed as a threat to the health of Canadians. This would be case for those afflicted with a communicable disease that poses a risk of proliferation within Canada. This is relatively rare as there are not many contagious illnesses or conditions that permanently affect one’s state of health. HIV and AIDS are examples of such a situation, and can be grounds for a determination of medical inadmissibility. More often than not, medical inadmissibility is determined by assessing how large a strain a particular individual would put on the Canadian healthcare system. If one’s state of health requires significant and frequent medical intervention, that individual can be found medically inadmissible. There are no strict criteria or guidelines as to what constitutes medical inadmissibility in this context as this determination is made on a case by case basis. However, the cost of any medication required and the frequency with which one must see a medical specialist are among the factors that that are considered. The Canada Border Services Agency (CBSA) can refuse entry to any animal that does not meet its entry requirements. To learn more about these requirements, click here. Yes, this is possible. At any one time, many Americans are working in Canada with valid legal status but without permanent resident status. Many foreign workers in Canada are working as an intra-company transferee. This means that the worker has been transferred by his or her employer to work in a parent, a subsidiary, a branch, or an affiliate of that enterprise in Canada. There are provisions under the North American Free Trade Agreement (NAFTA) that allow intra-company transferees from the U.S. to work in Canada. In most cases, foreign workers in Canada need a work permit in order to work legally. However, there are certain instances where individuals may work in Canada without a work permit. The most pertinent group that this applies to is arguably business visitors. In other cases, such as for performing artists and their crew, athletes, and media personnel, individuals may be work in Canada without a work permit. Learn more about working in Canada a business visitor. Get the full list of workers who may work in Canada without a work permit. Foreign workers may be able to work in Canada as an intra-company transferee. See question 10 for details. Canadian employers expect to be presented with certain information in a resume, and candidates for positions should take note of this. See our resume guide for tips on how to write and present a Canadian-style resume. Many U.S. citizens study in Canada at post-secondary level. At a time when young Americans are faced with escalating tuition costs, mounting student debt, and higher barriers to entry than before, many are noticing that a world-class higher education is available on the same continent, and often for a fraction of the cost. International students in Canada can also work while studying, allowing them to supplement their income and gain vital work experience. Furthermore, studying in Canada also a pathway towards developing a professional career and immigrating to Canada permanently. To learn more about studying in Canada, visit our dedicated study section. Canada’s world-renowned points-based immigration system is often referenced by U.S.-based media and politicians as a model that could (or should) be emulated abroad. In reality, it is not just one points-based system, but a number of points-based immigration programs that aim to attract, rank, and/or invite certain individuals and their families to immigrate to Canada. The Federal Skilled Worker Class is the federal government’s flagship immigration program. The concept is relatively simple; there are up to 100 points available for a number of factors including age, level of education, language ability, work experience, whether or not the individual has arranged employment in Canada, and certain adaptability factors. If the individual can claim 67 or more points, he or she is eligible to enter the Express Entry pool. Here, the individual (now a candidate, having created an online Express Entry profile) is ranked along with other candidates, including candidates who entered the pool via other programs that allow people with Canadian work experience and skilled tradespersons to immigrate to Canada. The Express Entry pool is a competitive environment, with a points-based ranking system where candidates are awarded up to 1,200 points under the Comprehensive Ranking System (CRS) for a variety of factors. The government conducts periodic draws, in which the top-ranked candidates are issued an Invitation to Apply (ITA) for permanent residence. Confused? Let’s use a hypothetical example. A U.S. citizen wants to immigrate to Canada and, having filled out a free assessment form, finds that she can claim 74 points under the Federal Skilled Worker Class. She creates an Express Entry profile, where she is awarded 500 CRS points. She then receives an ITA is a subsequent draw from the pool. This ITA provides a 60 day time period during which she may submit a complete immigration application, and from that point the government aims to process the application within six months. 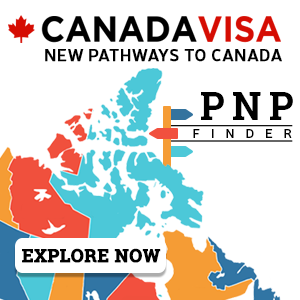 In addition to this federal system, there are also a range of points-based immigration categories under the Provincial Nominee Programs (PNPs). The criteria for these categories are set by provincial and territorial governments, who may issue a nomination certificate to successful applicants and their family members, if applicable. Under the PNPs, the federal government only oversees admissibility factors, including medical and security background checks. In the U.S. a United States Permanent Resident Card is popularly known as a Green Card. Instead of a Canada Green Card, permanent residents of Canada have the right to a Canada Permanent Resident Card as proof of their Canada immigration status. A U.S. Green Card grants the holder the permission to enter and live in the United States. In contrast, Canada Permanent Resident status grants an individual the right to enter and live in Canada. To find out if you are eligible to obtain Canadian permanent residence through one of the currently available immigration programs, please fill out a free online assessment form. Individuals wishing to immigrate to Canada through an economic immigration program (i.e. not being sponsored by a spouse/common-law partner and not with refugee status) are required to prove language ability in English and/or French. This proof comes in the form of language test results. For the federal economic immigration programs, all candidates must include International English Language Testing System (IELTS), OR Canadian English Language Proficiency Index Program (CELPIP), OR Test d'Evaluation de Francais (TEF), OR Test de connaissance du français pour le Canada (TCF Canada) results. No other method is approved to support language abilities for these programs. The CELPIP exam is only available within Canada, and the TEF and TCF Canada are only for individuals wishing to be tested in French ability. Effectively, this leaves the IELTS General Version as the only real option for English-speaking individuals outside Canada. Language test results are also required for the economic categories of the Provincial Nominee Programs (PNPs). There is a separate program for individuals with work or study experience in the province of Quebec that allows eligible individuals to submit an application without necessarily submitting language test results, but this program (known as the Quebec Experience Class) only assesses French ability, not English ability. Yes, if you wish to immigrate to Canada through an economic program, you need to prove your language ability. The points outlined in the above question apply, even if you have lived, worked, and/or studied in English for many years. Potential applicants under the Federal Skilled Worker Class (FSWC, Canada’s flagship immigration program for skilled international workers) may obtain up to 10 points towards eligibility for a job offer. The pass mark for eligibility is 67 points. A job offer is required for potential applicants under the Federal Skilled Trades Class (FSTC). A job offer is also worth 50 or 200 (for senior executive positions) points once a FSWC or FSTC candidate is in the Express Entry pool. The total number of available points is 1,200, and these points for a job offer could make all the difference in being invited to apply for Canadian permanent residence. A job offer is often, though not always, required under the Provincial Nominee Programs (PNPs). As for working in Canada temporarily, in most cases a job offer would be required. Under the auspices of the North American Free Trade Agreement (NAFTA), U.S. citizens may be eligible for facilitated processing when applying for a temporary work permit in Canada. Work permits under the provisions of NAFTA do not require a Labour Market Impact Assessment (LMIA), a process that ensures Canadian citizens and permanent residents are able to apply for an open position before the job may be offered to a foreign worker. Workers in the U.S. who work for a company that has a Canadian office or affiliate may work in Canada as an intra-company transferee. See question 10 to learn more about intra-company transfers. U.S. citizens under 30 years of age who have been enrolled in full-time post-secondary study at some point in the past twelve months may be able to work in Canada on a SWAP working holiday visa. Express Entry is an electronic management application system for immigration to Canada. a portion of the Provincial Nominee Programs. Applicants make an "expression of interest" (EOI) in immigrating to Canada and, if they are eligible for at least one of the aforementioned programs, they then enter the Express Entry pool, where they are ranking according to the Comprehensive Ranking System (CRS). The federal government then selects candidates from this pool, who receive an Invitation To Apply (ITA) for immigration to Canada under one of the programs. Express Entry moves Canada from a first come, first served (or supply-driven) system to an invitation to apply (or demand-driven) system. Modeled on similar systems in use in Australia and New Zealand, Express Entry aims to fast track the processing of skilled immigrants deemed most likely to succeed in Canada. We have an entire FAQ page dedicated to Express Entry. Provincial and territorial governments have been using these programs to more effectively and efficiently welcome newcomers to their region. Each PNP is tailored to the province or territory's specific needs to select nominees who will be able to settle into life and work in the region and to effectively contribute to the community. Most PNPs contain at least one stream/category aligned with the federal Express Entry immigration selection system. These are known as 'enhanced' nominations. The remaining streams/categories exist outside the Express Entry system, and are known as ‘base’ nominations. Some PNP categories allow individuals in certain in-demand occupations to submit an application without a job offer. One such example is the Saskatchewan International Skilled Worker category, which includes base and enhanced sub-categories. The government of Canada recognizes that family reunification is an important aspect of its immigration policy. A Canadian citizen or permanent resident may sponsor a spouse or common-law partner for Canadian permanent residence. If you want to immigrate to Canada permanently through an economic immigration program, and if your highest level of education was obtained outside Canada, your level of education must be assessed by a recognized third party. This assessment is known as an Educational Credential Assessment (ECA), and there are five recognized bodies that issue these assessments. Yes, the Federal Skilled Trades Class (FSTC) is an immigration program through which eligible candidates may immigrate to Canada permanently. Eligible candidates for the FSTC must make an expression of interest in immigrating to Canada through the Express Entry selection system for immigration to Canada. Yes. International investors may seek permanent residence by making a passive investment through the Quebec Investor Program. The program allows investors to obtain Canadian permanent residence by investing CAD$800,000 risk-free through an approved financial intermediary or by financing that investment. There is also an investment opportunity under NAFTA. A NAFTA Investor must demonstrate that he or she has made a substantial investment in a new or existing Canadian business and that he or she is seeking entry to Canada to develop and direct the Canadian business. Work permits in the NAFTA Investor category may also be granted to employees of the primary investor who can be considered essential staff. Yes. The federal government offers the Start-Up Visa Program, and there are various other entrepreneur immigration categories within the Provincial Nominee Programs (PNPs). To learn more, review this Canada business immigration programs page. The range of documentation required in order to submit an application for permanent residence can be extensive. In each case, the required documentation will depend on two factors: the program you are applying to, and your personal circumstances. In order to become a Canadian permanent resident, it must be shown that an applicant has sufficient resources to support themselves and their family, if applicable. This is accomplished by providing proof to the government of Canada that the applicant has a certain amount of money at his or her disposal. These settlement funds and the amount that must be demonstrated varies depending on the number of family members included in the principal applicant’s application. Settlement funds cannot be borrowed, and the principal applicant must be able to use this money to pay the costs of living for his or her family, even if not these family members are not accompanying the applicant to Canada. To determine the required amount of settlement funds you may refer to the following table. If you have a source of income that assures you have at least the applicable amount of settlement funds at your disposable, this means that in terms of finances you are eligible to apply for permanent residence. However, beyond this, an independent source of income will not further increase your chances of becoming a Canadian permanent resident. Canada is typically looking for applicants that can contribute economically to the country, not for those who are merely financially self-sufficient. A determination as to whether an individual or family may be given asylum or refugee status is not determined by nationality. Nationality is not the central issue. What matters is how people are being treated and protected by the state that they are in. That being said, only a minuscule share of American refugee claimants are approved in Canada, and it is unlikely that an application for asylum or refugee status in Canada made by a U.S. citizen would be approved. Canada and the U.S. have a Tax Treaty that, for the avoidance of double taxation and the prevention of fiscal evasion with respect to taxes on income and on capital, should make relocating to Canada as smooth a process as possible. While one of the primary differences between the two countries is that Canadian income tax laws are based on residency (while U.S. tax laws are based on citizenship), the Tax Treaty between Canada and U.S.A. has several mechanisms available known as foreign tax credits, to make sure the person does not have to pay duplicate taxes to both countries. Yes. Not only that, but U.S. citizens who immigrate to Canada and spend a few years residing in Canada may also eventually choose to become citizens of their adopted homeland. This is a process known as naturalization, and Canada has one of the most liberal and welcoming naturalization processes in the world. According to both U.S. law, individuals can be a citizen of the U.S. and of another country. The same provision exists for Canadians who acquire a second citizenship. Canada has a public health care system that makes critical care accessible to all Canadian citizens and permanent residents alike, as well as certain temporary residents. When it comes to the administration of health care, the U.S. and Canada are quite different. Though the health care system in Canada is actually a number of sub-systems run by the provincial ministries of health, the federal government sets the standards for health care across the country. Canada does not have a President. The head of government is the Prime Minister. The Prime Minister is not directly elected by the electorate. He or she is voted into that office by members of the House of Commons, which meets on Parliament Hill in the capital city, Ottawa. Members of Parliament are elected using a first-past-the post system, whereby the candidate who wins a plurality of votes in a riding (like a congressional district) is elected to serve that riding in Parliament. Currently, five political parties are represented in the House of Commons. The governing Liberal Party holds a majority of seats. The Conservative Party, with the next highest number of seats, forms the official opposition. The New Democratic Party (NDP) has a sizeable number of seats and is generally perceived to be a social democratic party of the left. The Bloc Québécois, which has a handful of seats, is devoted to the interests of the province of Quebec, and the Green Party has a single elected Member of Parliament (MP). There is currently no avowedly anti-immigration party with elected representation at the federal level. Each party recognizes the contributions that newcomers to Canada make to the economy and Canadian society. Canada does not have states. Instead, it has 10 provinces and three territories. Each province and territory has its own democratically-elected government that holds jurisdiction over certain areas of governance. Other areas of governance are held by the federal government, while certain powers are shared between the federal and provincial/territorial governments. Only Canadian citizens may vote at the federal and provincial levels. Overall, the tone and rhetoric of how politics is ‘done’ in Canada is quite different to its U.S. counterpart, particularly if we are just comparing recent years. If you are interested in moving to Canada, either temporarily or permanently, or if you have any queries about admissibility to Canada, please contact USA@canadavisa.com. A Canadian immigration attorney will be able to provide a free consultation.